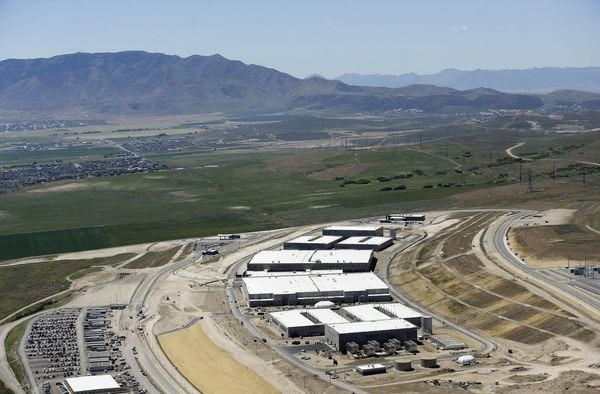 The National Security Agency's collection of phone metadata will be allowed to continue during the 180-day wind-down period authorized by Congress in June, a U.S. appeals court ruled on Thursday. The 2nd U.S. Circuit Court of Appeals in New York struck down a preliminary injunction sought by the American Civil Liberties Union, which would have halted the mass surveillance program immediately, Reuters said. The injunction was opposed by the U.S. Department of Justice. As a result of today's decision, legal limits on the NSA will only take effect on Nov. 29, as planned. "An abrupt end to the program would be contrary to the public interest in effective surveillance of terrorist threats, and Congress thus provided a 180-day transition period," wrote Circuit Judge Gerard Lynch. "Under the circumstances, we will defer to that reasonable decision." Lynch was responsible for authoring a May decision which found the metadata collection illegal. The next month Congress passed the USA Freedom Act, enabling the upcoming restrictions on the NSA, though critics have complained that the bill didn't go far enough in limiting surveillance. In 2013, former NSA contractor Edward Snowden leaked documents to The Guardian proving that the agency was collecting massive amounts of data in the U.S. and abroad, sweeping up phone records and Internet traffic from innocent people and suspected terrorists alike. In many cases the NSA benefited from collusion by carriers like AT&T and Verizon, as well as major U.S. tech companies. Apple was named as an NSA target in the Snowden documents, although it quickly denied knowledge of the PRISM program or providing direct access to servers. Since then, the company is known to have at least complied with NSA requests for data, as evidenced by so-called "warrant canaries" disappearing from its transparency reports.